With the price of vintage junk going through the roof these days (thanks hipsters!!) it might seem a tall order to find a classic car that's everyday driveable, looks cool, and doesn't cost an arm/leg. However, you might have to deal with steel wheels (with granny caps) and light green paint. 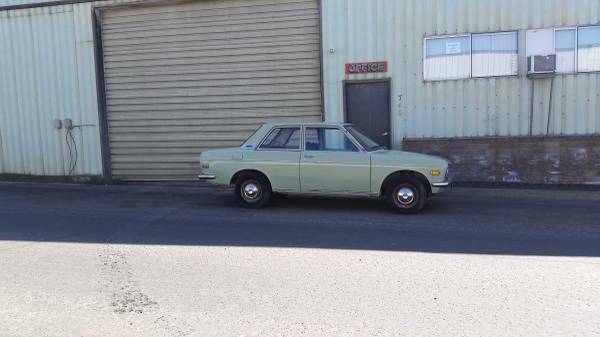 Find this 1970 Datsun 510 offered for $8,500 in Goldendale, WA via craigslist. 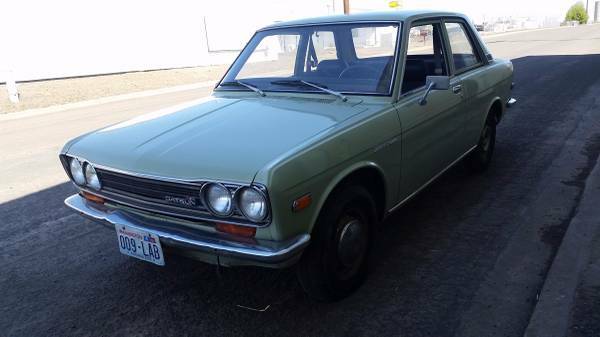 The Datsun 510 (known as the Bluebird outside the US & Canada) was the Japanese counterpart to the BMW 2002 from parent company Nissan. Like the 2002, they were built by the boatload, rusted instantly when exposed to moisture and languished in a price range that put them just inches from the crusher for decades. However, 2-door versions have seen some price appreciation in the past few years -- act fast before they cost as much as Porsche 912s. 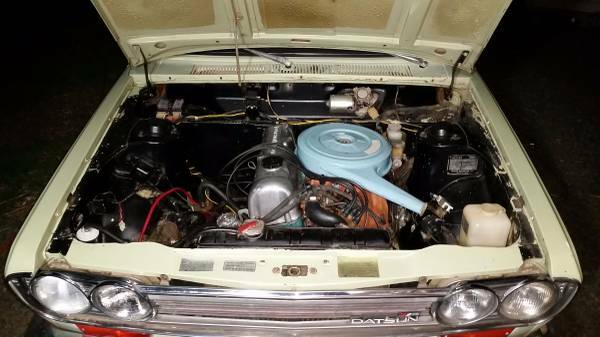 Powering the 510 is an L16 inline-4, which is a 1.6 liter (non-crossflow) overhead cam tractoresque thing that made 92 horsepower from the factory. Unfortunately this L16 is mated to a 3-speed automatic, so the sporty character is considerably diminished, however with original paint, 44k miles, and 2 owners it could be the time capsule you've been looking for. The slushbox is easily rectified. Sure is a great looking little car. Agreed. Love the color too. And not in an ironic way. Interesting to see one not slammed and with a set of Panasports. I like them slammed and with Panasports much more than stock and have since they were new. Could the IRS in the sedan be grafted to a wagon? I love the way the wagons look as well.